Click the button below to add the Extra Fine Carved Gourd to your wish list. These special gourds represent the supreme talent of the artisans who work with us. 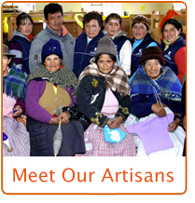 Each one is decorated in intricate detail with a typical village scene from the Andes. Each piece is unique. Size, shape, and design vary.